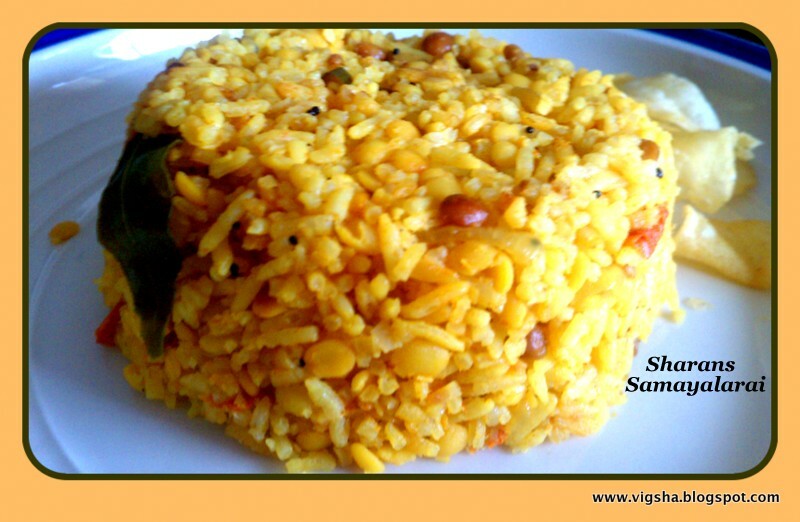 Arisi Paruppu Sadam | Lentils rice is an authentic Kongunadu recipe. This is a very famous recipe in coimbatore district, it’s simple and doesnot need any elaborate cooking process, yet delicious combination of flavours. Its a must try recipe !! This quick one pot meal is an ideal lunch box recipe. Also It is mostly made when you are is short of vegetables or when in want of comfort food in the quickest possible time. This is a homey dish with very mild spices which is suitable for kids, you can serve your kids wholeheartedly with lots of ghee. 1). Soak rice and dhal together for atleast 30 minutes. Wash and keep it aside. Chop the onions and tomatoes. 2). Heat oil/ghee in a wide bottomed pressure cooker, add mustard. When the mustard crackles, add urad dal and channa dal and saute. Then add curry leaves, asefoetida, red chili and chopped onion. 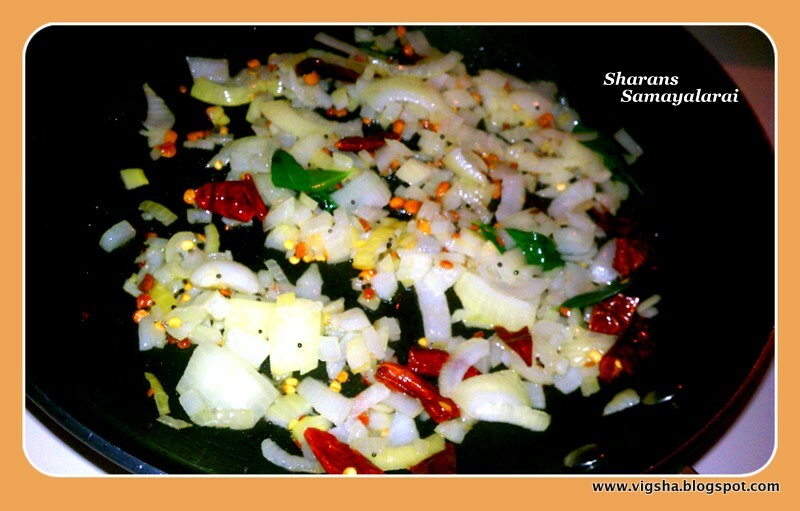 Saute till onion turns golden brown. 3). Then add the tomato and saute till they become soft and mushy. 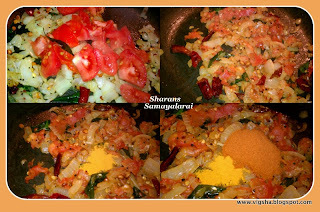 Add turmeric powder, sambar powder and mix all together. 4). Now add the drained rice and dal to the cooker, along with 3 and ¼ cups of water and salt to taste. 5). Cook in medium flame for 3whistles.Once the pressure releases, add ghee, mix well and serve. Yummy sadam is ready !! Serve hot with pickle and curd. # Instead of the above mustard-seasoning, do seasoning with bayleaf, cinnamon, cloves, cumin and pepper corns for different flavor. # Add ghee roasted cashews / peanuts for crunchy taste. 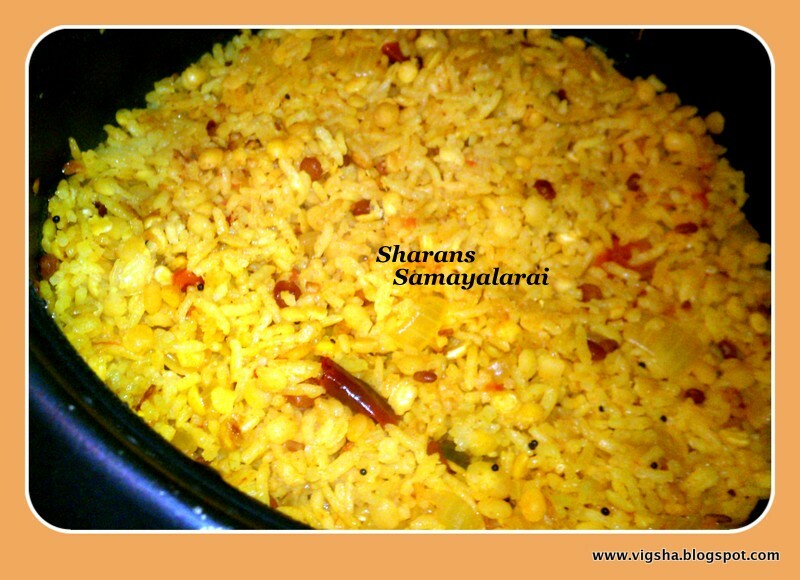 # This rice is heavenly by itself but you can also add other veggies including grated coconut. 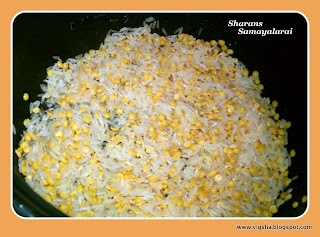 # Adding ghee is optional but it adds more flavour. 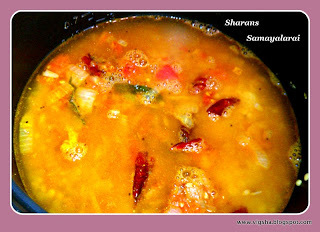 # I added sambar powder for flavor. Traditional recipe doesnt include sambar or other spice powders. # This rice has to be sticky so I always add 1/4 cup water extra. Add water according to the rice variety you use. Also, If you want them to be less mushy adjust the proportion of water accordingly. 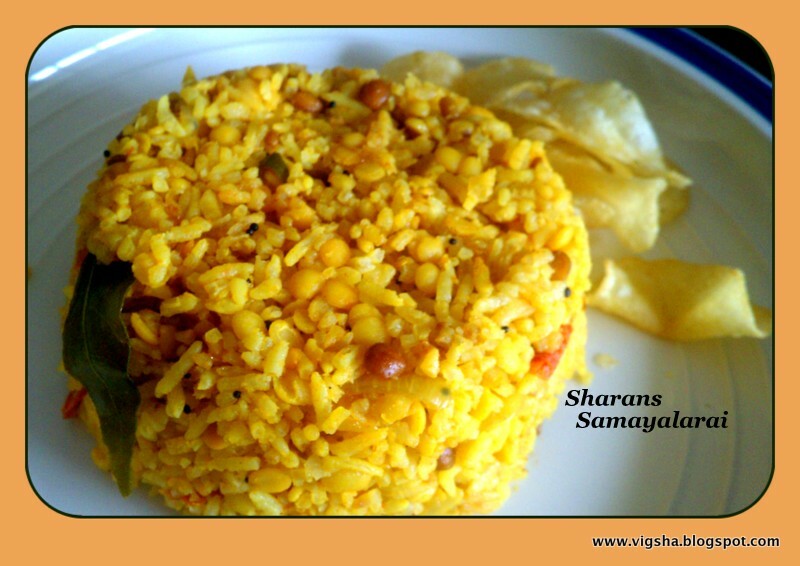 # The ratio of dal with rice can be varying. You can add (1:½) or (½:½) either ways it turns out great. We call it khichdi in gujarati. And make it with little.vatiation. Your version looks delicious.